Parties are for drinking out of cups, and keeping track of your cup is an important part of that. 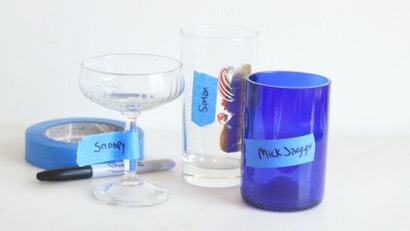 I have, in my time as a hostess, encountered a few guests who just “aren’t into labels” but, seeing as organisation and order are the cornerstones of a good party, labelled drinking vessels are very important to me. Instead of foisting cute wine charms on people—which always fall off—or trying to shout my guests into submission, I grab a roll of painters tape, and tell them to use fake names. Secondly, people love showing off how cool and interesting they are, particularly by way of witty references, and especially at parties. Telling them to use fake names lets them craft their own clever conversation starter, meaning they’re more likely to hold on to their cup so they can show off said witticism. 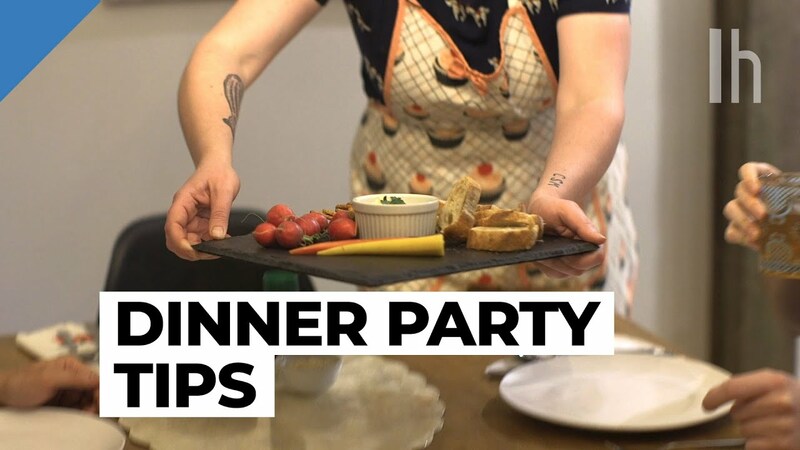 (Bon Appetit suggests a similar approach here, wherein the host picks all the names. This is good, but letting people pick their own is better, I think.) If the sensory siren’s call of painter’s tape combined with the a chance to look clever is not enough to get your guests to label their beverages, I’m not sure how to help. These people clearly enjoy beverage-related chaos.